Buildings which are old start developing problems in form of cracks in the walls, spalling of concrete, Corrosion of reinforcement steel, leakage of water through concrete due to honey combs etc. This is a specialized activity which needs a combination of effective products and skilled labour coupled with good understanding of the problem. We offer solutions for the same. 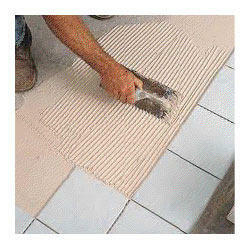 Self adhering concrete repair mortar are used to repair scaling, uneven floors and walls. 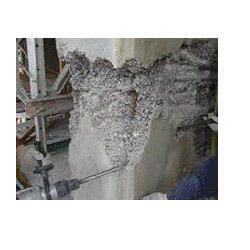 Cement based self adhering mortar is used to patch up damaged concrete. Concrete Repair Adhesive Product can be used to repair roads, walls, columns, and beams and maintain the color of your concrete. These are cementitous quick set adhesive compounds which has excellent workability and ease in use with water proofing properties.Tile adhesives are two-component, room temperature curing epoxy adhesives. When compared with other similar products, it has some outstanding characteristics like high strength, good adherence and high flexibility. Looking for Concrete Repair & Grouting ?